I am a Darug woman from the Sydney area. 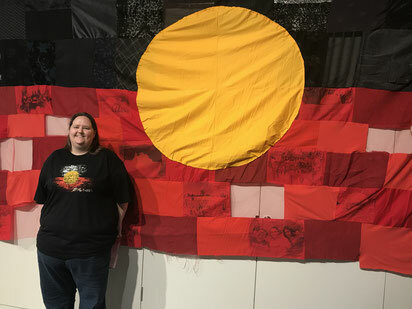 I was born and raised on my traditional homelands in the southwest of Sydney and have always had a close connection to my culture. As an urban Aboriginal Artist, my art takes many forms to reflect my culture. While I often enjoy utilising a dot style of painting, I pair this with bright colours and unusual mediums. I feel this pairing represents myself as an Artist who has a deep traditional spirituality, yet lives a modern lifestyle. My art tells the story of a modern woman with an ancient heritage.